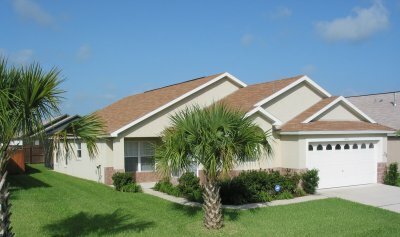 The Villa is located at Indian Creek in Kissimmee, less than 4 miles from Disney World. This villa has been furnished to the highest standards. It was completed in March 2000 and has a large lounge area, dining area, 4 bedrooms and 3 bathrooms - 2 are ensuite. 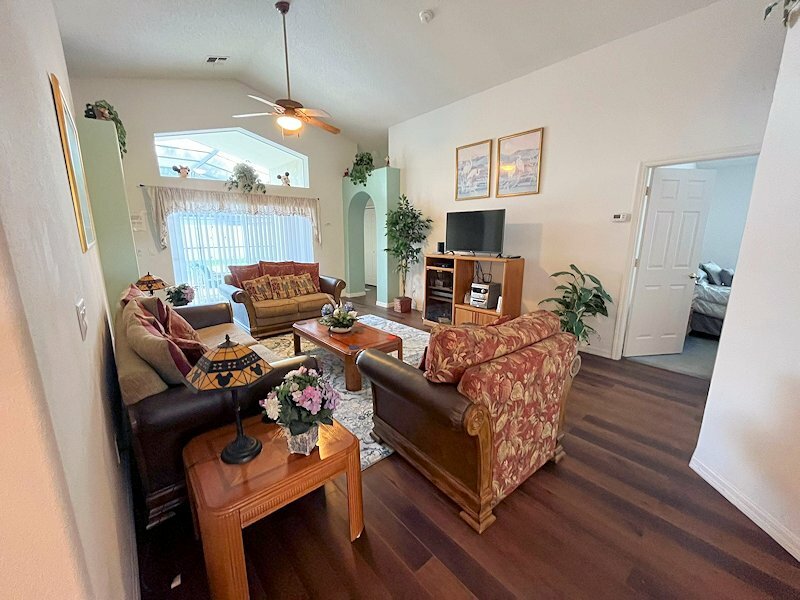 The home is Alarmed for your security, and smoke detectors and child alarms on doors leading to the pool area. There is also a safe for your valuables. "just arrived home a couple of hours ago.................tired and a little bit down. We thoroughly enjoyed our stay in your villa (maybe a little too much) A real home from home. It had everything we needed and spotlessly clean. It was nice to return from a long day in the parks to chill out by/in the pool. It is really well situated for shopping and restaurants. We can see ourselves using it a bit more in the future." 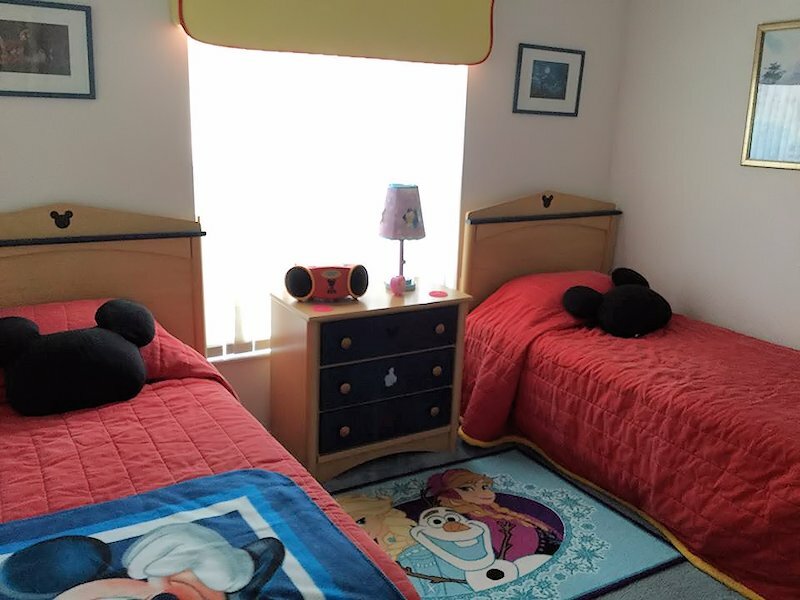 "Thanks for the use of your lovely Villa we had a great time and the accommodation was perfect for our needs with the added bonus of a short cut to the parks in the welcome pack made for easier journeys too and from WDW.... 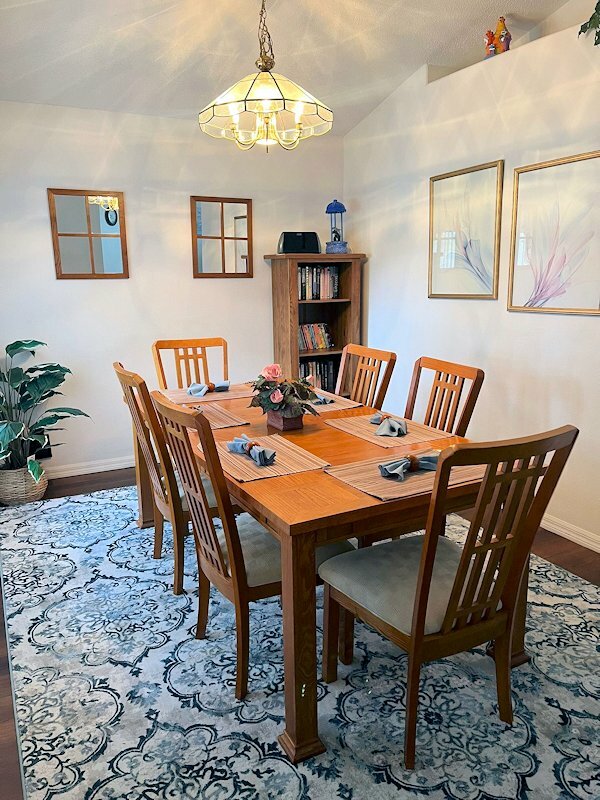 The location of Sunnyside was excellent in terms of travelling and ease of access to everything on the 192 - we have previously stayed on the 27 so the location of Indian Creek was a massive bonus." "It’s a real pleasure to be back in your villa after a long break. 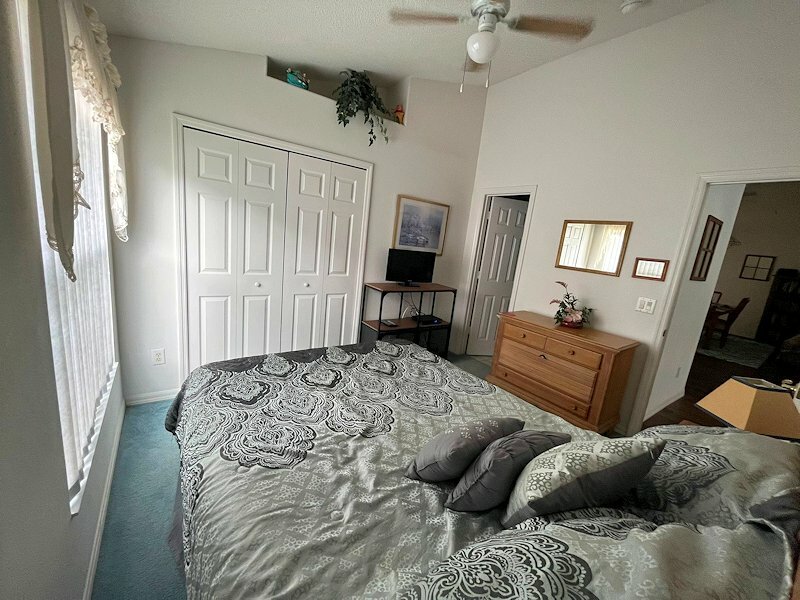 It is first class and very well maintained." "Thank you. We so enjoyed staying at your house. Our vacation was magical and having your delightful house to come back to each day was part of the magic. " 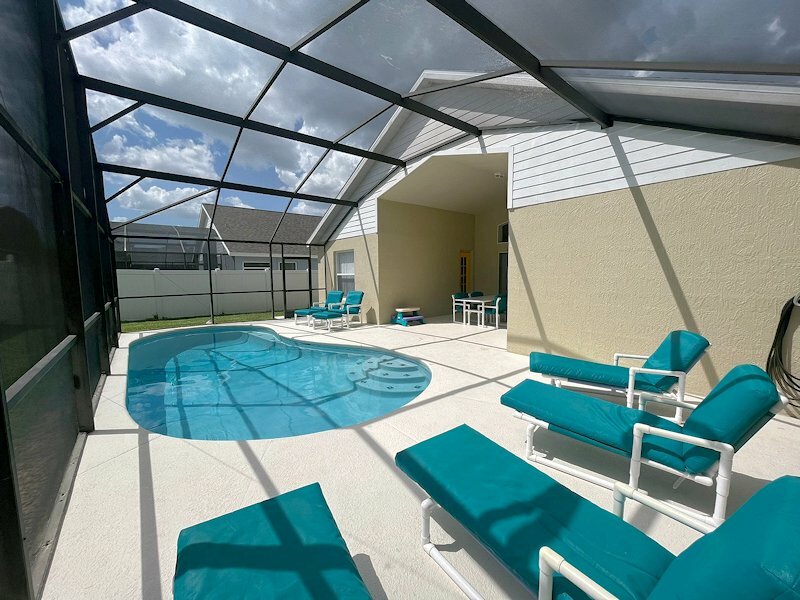 Indian Creek is a community of 3-6 bedroom luxury holiday homes, equipped with all the amenities you would look for when visiting the area. Facilities within the community include tennis courts, children’s play area, basketball & games field, a putting green and a cycling & jogging track. For golfers, this is an ideal location with many courses in the area. Just under 2 miles away towards US192 there is the local Formosa Gardens Village shopping complex, which has a supermarket and pharmacy, walk-in medical centre, liquor store and a selection of other shops including an ATM cash machine. The nearest WalMart is just north of the intersection between US192 and US27, although there is Publix supermarket just over 3 miles away at the Rolling Oaks Common shopping complex on US192. 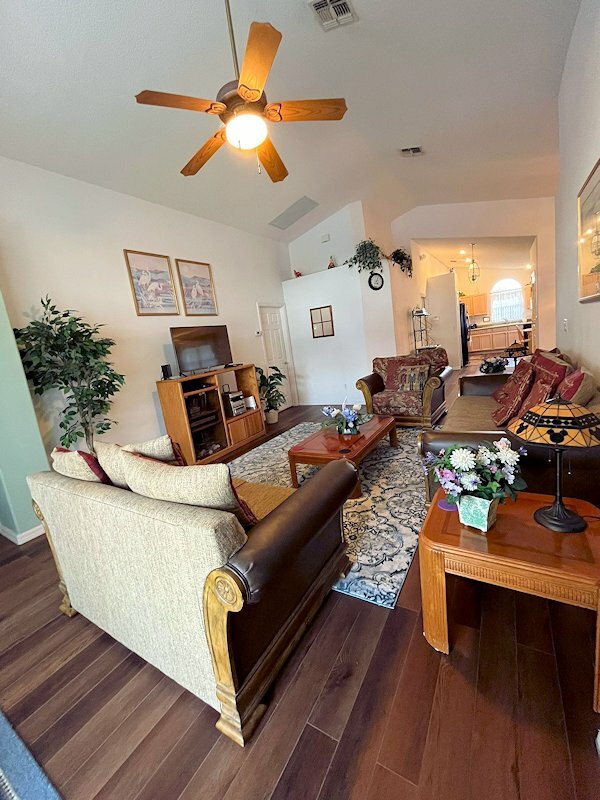 For eating out, the Formosa Gardens Village offers a selection of restaurants and eateries, which include an Outback Steakhouse, Red Lobster, TGI Fridays, Giordano’s Italian restaurant, as well as both a Chinese take-away and Japanese sushi bar. For quick snacks, there is also a Subway, Taco Bell and Dairy Queen. Heading onto US192 towards Kissimmee, you will find countless restaurants for eating out and an almost equal number of themed crazy golf to work off the meal. A large living area (lounge) with 42” cable TV, VCR, Hi-Fi & Nintendo Wii player. A selection of children's films, Nintendo Wii games (Wii Play, Wii Sports and Mario Brothers) and children's Lego available. 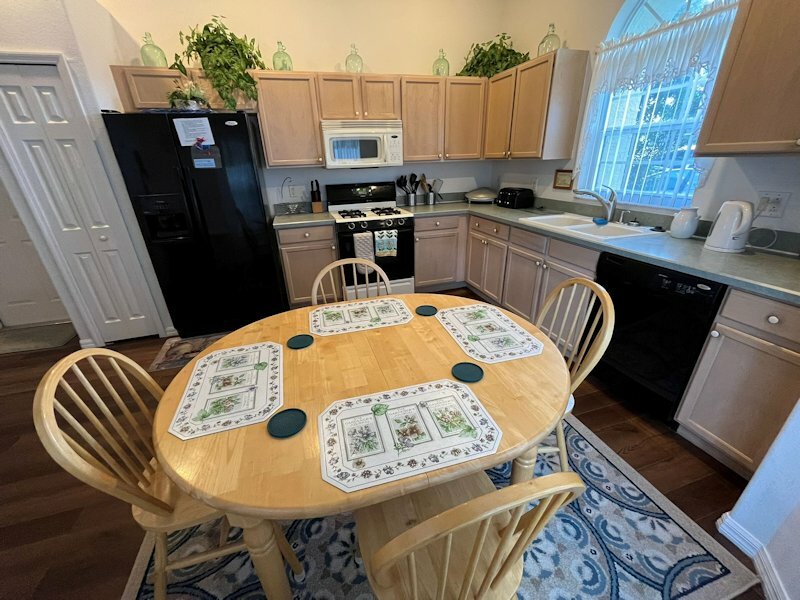 There is a dining area in the kitchen for breakfast and snacks and also a separate more formal dining area for additional seating or for those special evening meals. 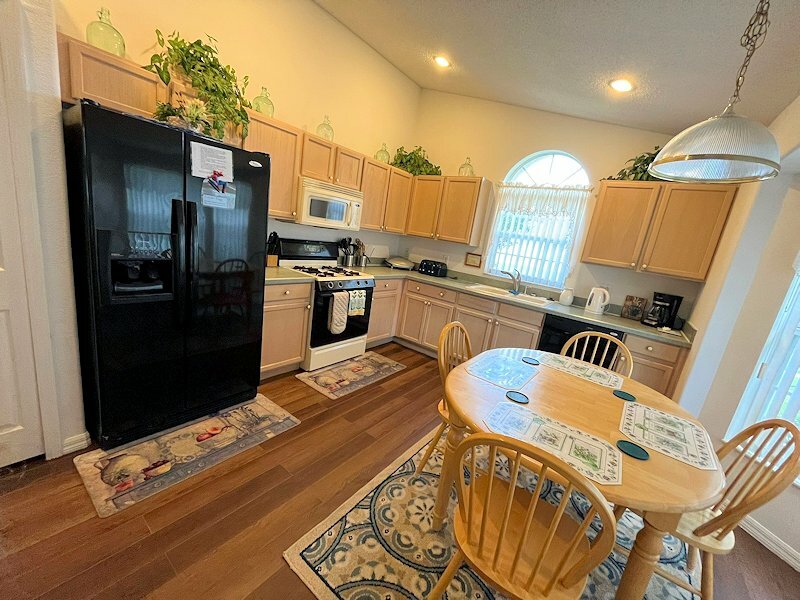 The kitchen is fully equipped with cooker, microwave, fridge/freezer (ice maker), dishwasher and all crockery and utensils. For younger guests the house is equipped with a cot (we have 2 of these), high chair and buggy (all available at no extra cost). 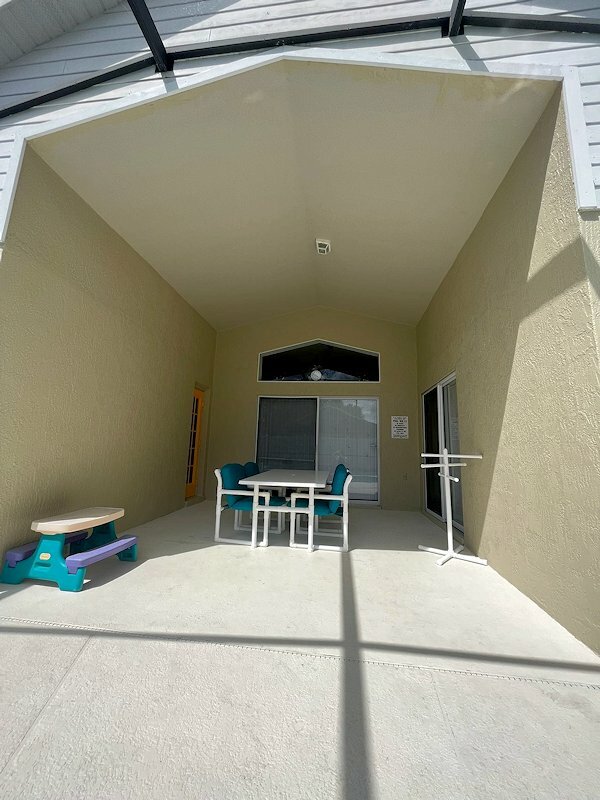 Patio doors lead out onto the lanai, this is equipped with luxury furniture & large pool (heatable in the cooler months at an extra cost). 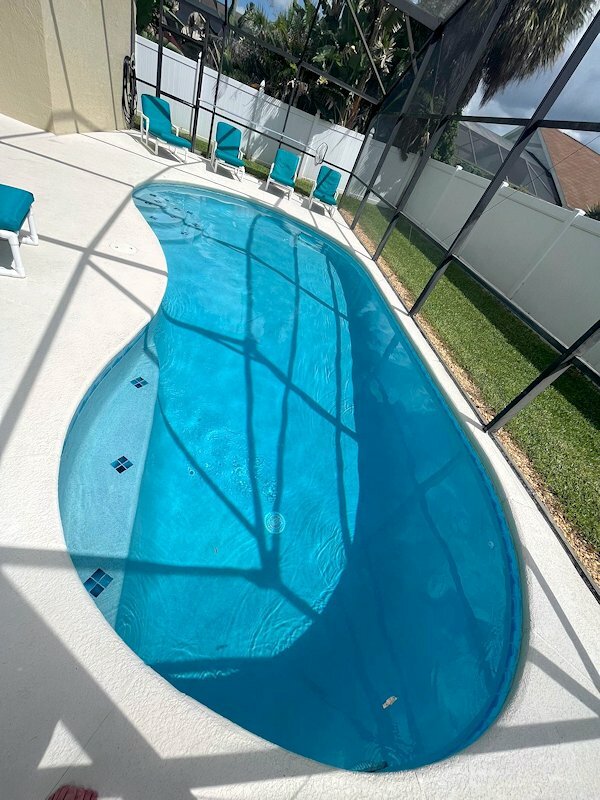 The south facing pool means you wont miss any Florida sunshine ! To heat the pool in the winter months we do have a gas pool heater, this is chargeable at £100 ($170 USD) extra per week. 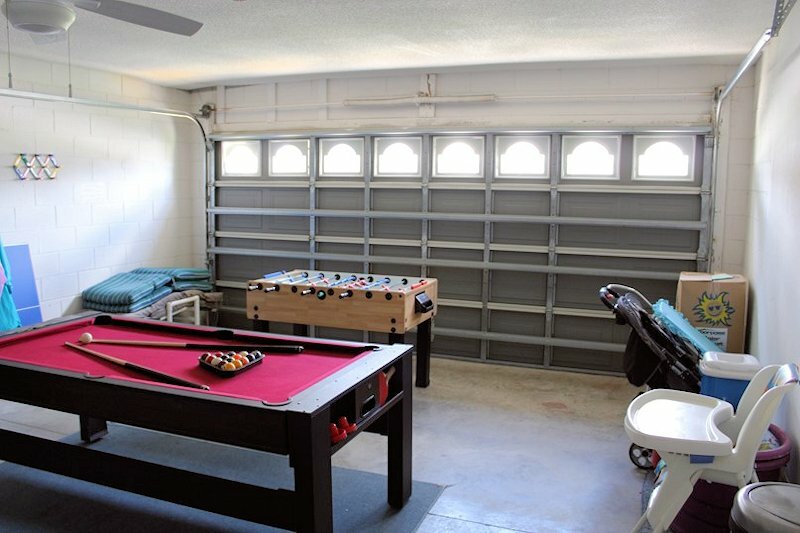 Located in the garage is a games table, which convert to Air Hockey, Pool Table and a Table Tennis Table. There is also a Foosball table. 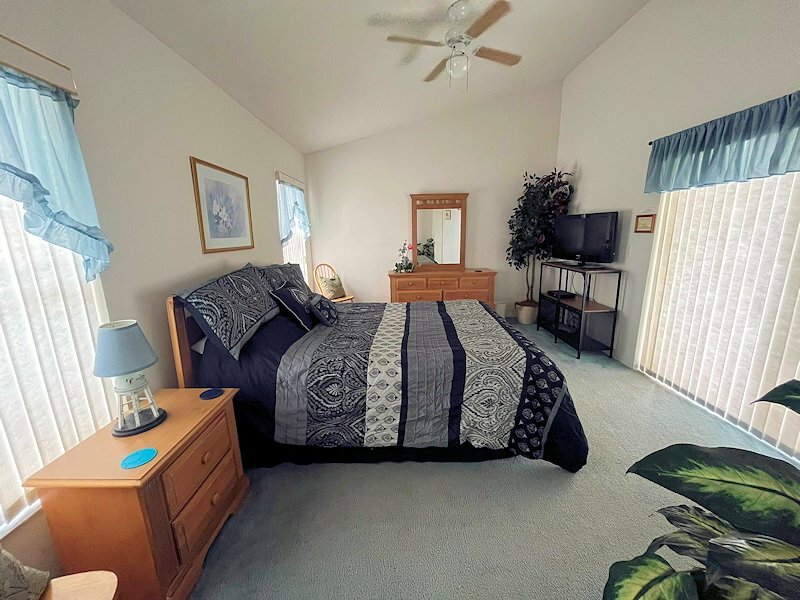 The laundry facilities are located here, which includes a washing machine, dryer, iron and ironing board.